East Van has many symbols. 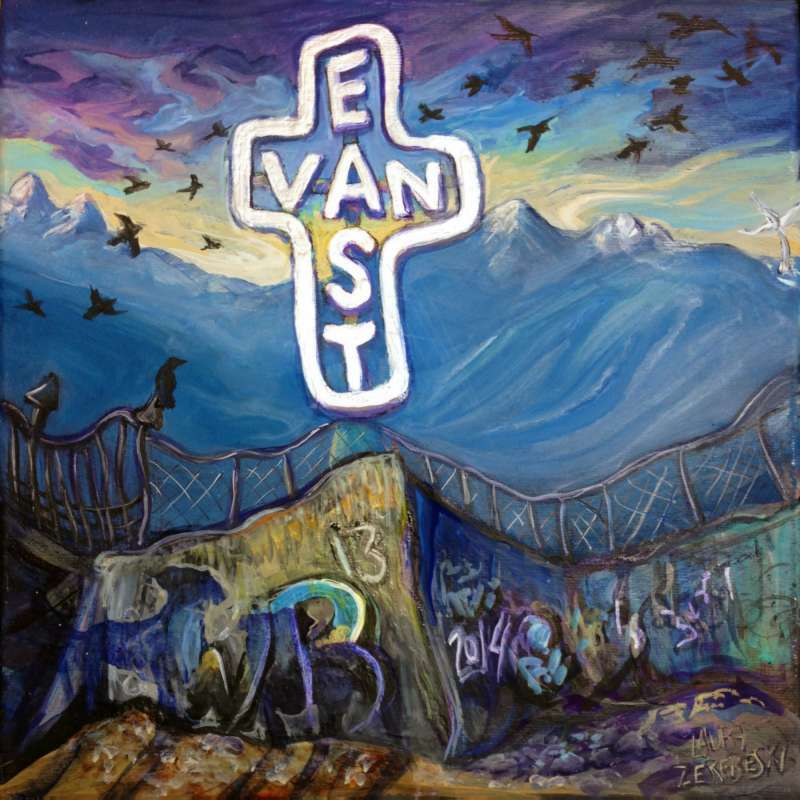 The big East Van cross at 6th and Clark is probably the most significant, but you can’t be in East Van and not think of crows, graffiti, and tough don’t-mess-with-me industrial concrete. East Van also has the best view of the North Shore mountains in the city. This little scene has a few more symbols. The shadows of the two dogs—a Lab and a Bulldog—represent their owners and the graffiti is a personalized memorial.